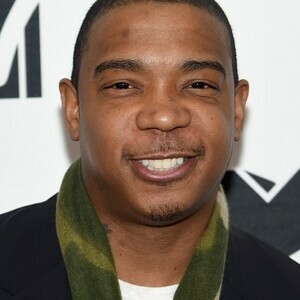 Ja Rule net worth: Ja Rule is an American rapper, singer, and actor who has a net worth of $8 million. Ja Rule is a rapper and actor who has had several songs on the Billboard Hot 100 chart, including “Between Me and You”, “I’m Real” and “Always on Time”. Ja Rule’s seven studio albums have sold more than 30 million copies since 1999. He is expected to release an eighth at some point in the near future. Ja Rule was born Jeffrey Atkins in Queens, New York in February 1976. He got into a lot of fights in school due to his small size. He did not graduate but earned his GED in 2012. His career started in 1993 as a member of the group Cash Money Click. His first appearance came on the song “Time to Build” by Mic Geronimo, which also featured Jay-Z and DMX. Rule signed with Def Jam in 1998 and was featured on the Jay-Z single “Can I Get A…”. His debut album Venni Vetti Vecci was released in 1999 and eventually hit #1 on the Billboard 200 chart. His second and third albums were both certified 3x Platinum and hit #1 on the Billboard 200 and Top R&B/Hip-Hop charts. His biggest singles include “Holla Holla”, “Between Me and You”, “I’m Real (Murder Remix)”, “Ain’t It Funny”, “Always on Time”, “Mesmerize”, and “Wonderful”. He has worked with Jennifer Lopez, Christina Milian, Ashanti, and R. Kelly. Rule has been nominated for four Grammys and has won three Source Awards, one MTV Video Music Award, one World Music Award, one BET Award, one GQ Men of the Year Award, one Teen Choice Award, and an NAACP Image Award. He has been involved with feuds with 50 Cent and G-Unit Records, Eminem, Dr. Dre, Shady Records, Aftermath, Foxy Brown, and Lil’ Mo. He appeared in movies The Fast and the Furious, Scary Movie 3, and The Cookout. After punching a man in Toronto in 2003, Rule settled a lawsuit out of court. He was arrested in 2004 for possession of marijuana and driving with a suspended license. In 2007 he was arrested on gun and drug possession charges. He ended up serving nearly two years in federal prison on gun and tax evasion charges. He reportedly failed to pay taxes on $3 million worth of income that was earned between 2004 and 2006. Ja Rule co-organized a music event called “Fyre Festival” that was set to take place in late April 2017 on a private island in the Bahamas. The event turned out to be a huge disaster. Attendees, some of whom paid thousands of dollars for their tickets, were left stranded on a garbage-strewn gravel put with FEMA disaster tents for the accommodations. On May 1st, 2017 a festival attendee filed a $100 million class-action lawsuit against Ja Rule and his festival co-founder Billy McFarland.